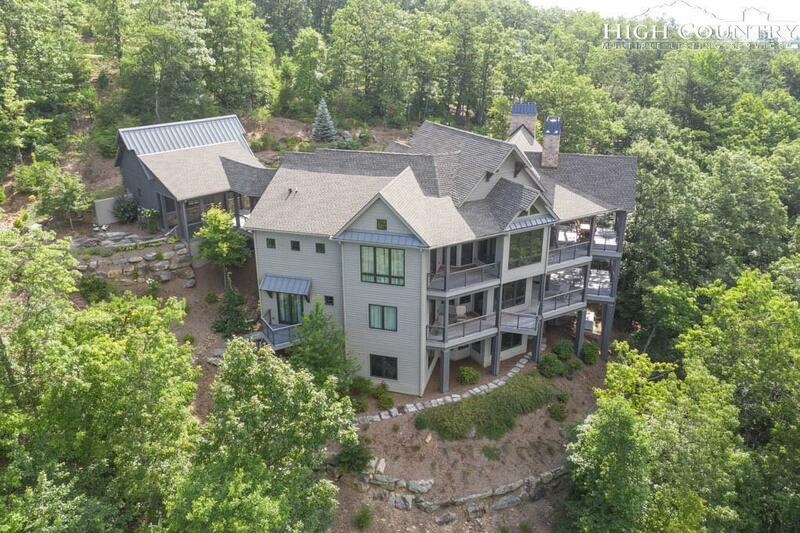 Modern Mountain + Comfortable Luxury defines this delightful custom home in Blue Ridge Mountain Club (BRMC). Lovingly planned and built by the owners for their extended family to enjoy, this home is offered tastefully furnished. The mountain views are enjoyed from all 3 levels with large windows and several decks. The main level offers a living room, dining area, master suite, laundry and kitchen. And what a KITCHEN - front and back working areas, a zinc eating bar, ample quartz counters, 2 ovens, 2 dishwashers, 2 sinks. There are 4 en suite bedrooms, 3 with their own decks. The 4th bedroom is one of the coolest bunk rooms (6 bunks) you will ever see! There is a large ready-to-finish 5th bedroom downstairs with a finished 5th bath across the hall. This level also has a second family room with a full-size custom pool table. This home offers living areas on all 3 levels and an ELEVATOR for easy access. The systems in this home are impeccable and include a 35KW generator. This is one of the only homes in BRMC set back from the road, creating a private enclave. BRMC offers trails, a fitness center, clubhouse and events. View the video, 3D tour and request a fact sheet.